: This ensures superior and effective membrane performance. 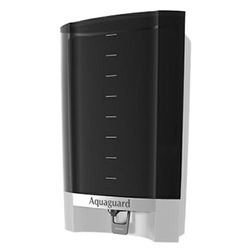 The Aquaguard Classic is a perfect combination of unique e-boiling+ and a complete 4-stage purification system that elimanates all disease-causing bacteria, virus, protozoa, cysts and other dissolved and undissolved impurities from water. 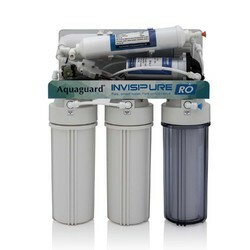 Leveraging the skills of our qualified team of professionals, we are instrumental in offering a wide range of Aquaguard Water Purifier. - Recommended for water supplied by Municipal Corporations sourced from lakes, rivers, etc and does not taste salty. - Equipped with e-boiling+ technology which makes every drop of water as pure and safe as water boiled for over 20 minutes.